Nancy Sue Wilson, (Born: February 20, 1937 – Died: December 13, 2018) this Grammy-Award Winning "song stylist" and torch singer whose polished pop-jazz vocals made her a platinum artist and top concert performer, has passed away. She was a Jazz, Blues, Rhythm & Blues, and Soul Singer. She was a "Consummate Actress", and "The Complete Entertainer". Nancy Wilson recorded more than 70 ... See More albums and won three Grammy Awards for her work. This Show Features Some of My Favorite Tunes. Along with Collaborations from Cannonball Adderley, Ramsey Lewis, Peabo Bryson, James Ingram, The Crusaders, A Special Song From Will Downing, also a Nancy Wilson Interview. 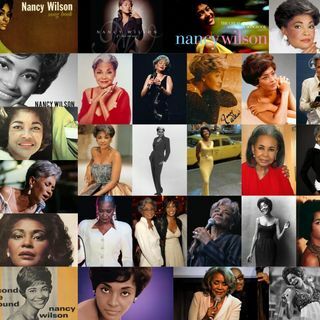 Please Enjoy This Wonder Tribute To Nancy Wilson. Nancy Wilson’s Music will play forever. It’s an “Everlasting Love”. The music in this show is available at Amazon Music, Apple iTunes, Spotify, and Google Play.